If I can work out all the details correctly, I am hopeful that when users start new threads in the forums, they’ll have the option to syndicate those starting posts out to their social networks. I’d also like to bring more syndication from the-spot.net into the external social media outlets…like sharing new threads to G+ and Facebook streams, but in a way that doesn’t flood a user’s timeline in either of those other services. But, first thing’s first…I have to redesign the whole site to use better code and update the various technologies that I haven’t touched in 5 or more years. 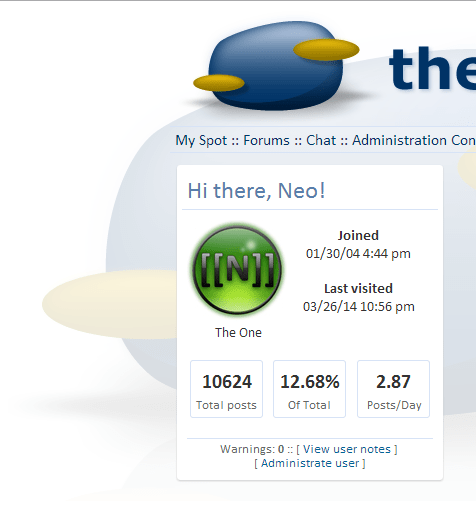 Here’s a sneak peak at the new design of the MySpot page. It’s only a corner image of the page, but the new layout will involve more whitespace, less clutter, and be a little more fluid for the larger screens of the day. Some of what is visible in the image may change, before final release, but this is the direction I’m taking it.